A routine is helpful to all dogs. Upon rising, they need to relieve themselves and play, then go back to rest some more. After their morning nap, they are ready for more play and exercise, and then their afternoon nap. If you work at home, you have an ideal companion. If you work away from home, it is best if you can get back at midday to spend some time with the dog, let him out, and play with him. If your dog must be alone during the day, leave a radio on to keep him company and use gates to confine him to one or two rooms, but don't leave him by himself for too many hours, and never leave him crated for more than a few hours at a time. 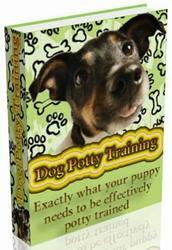 This is especially hard for puppies, who may feel they are being punished or abandoned. Be sure to have a veterinarian and take your new puppy for a visit to acquaint the puppy with the vet. Many breeders suggest you have your new puppy examined by a vet, anyway, because you want to be sure your puppy or dog is off to the best possible start. Be sure to take the medical records from the breeder to your veterinarian. 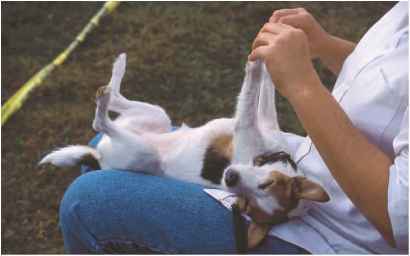 Perhaps a friend or neighbor can help by spending some time with the dog in the early afternoon, as JRTs really do cherish companionship. If you have no alternative but to be gone all day, and no one to help, you might want to consider waiting and getting a dog or puppy at another time in your life.